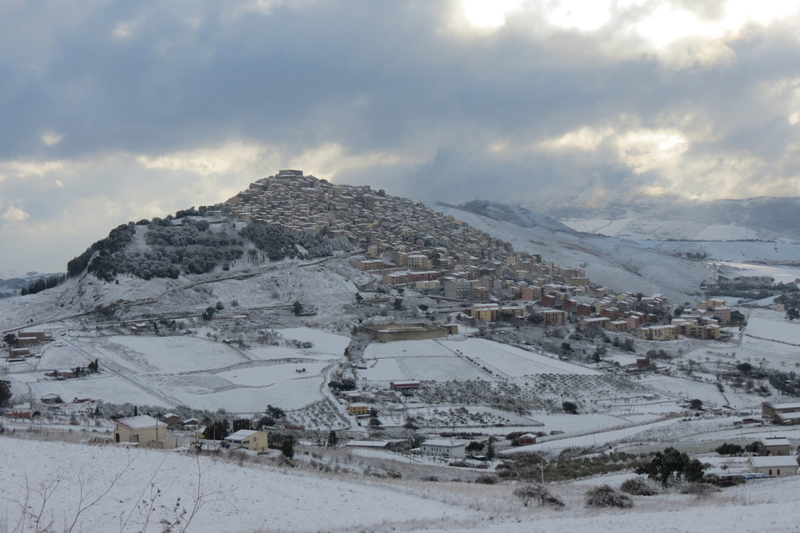 The town of Gangi in Sicily recently made international headlines when the story broke that properties were being sold there for the price of a euro (and the proviso that the property had to be done up within a year). The previous year, Gangi had already won the prestigious title “Borgo più bello d’Italia” (The most beautiful town in Italy) and so the news of property going cheap caused a stampede. Almost unthinkable ten years ago, it is now possible to see why. Aldo Conte, the owner of Villa Raino, explained the situation to me. Over the years, he told me, many properties in the town had become derelict and yet the owners of the properties were still liable for tax on them and were unable to sell them. In short, the properties had become a burden that nobody wanted. In the meantime, the public administration go Gangi was starting to turn round. Public services were functioning – seemingly small things like the refuse collection, the parking system the traffic control. And at the same time, there were many local clubs and associations springing up in the town – cycling clubs, craft associations and the like. In addition to these, Gangi has a huge emigrant population abroad – in America, South America and Australia. So, when the vote went out for “Borgo più bello d’Italia”, Gangi was well placed to canvas for votes and it is easy to see now why it won. 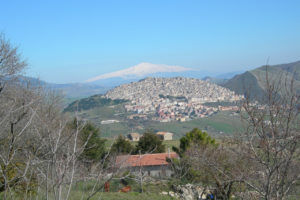 Ten years ago, Gangi was a sleepy little Sicilian hill town known mainly for looking like a giant carapace in the landscape – a feature that had aroused an uncharacteristic remark from General Patten as his army passed through Northern Sicily during the second World War – but today it pervades an eager, infectious energy. You don’t have to be possessed of an entrepreneurial spirit, happy to chance your fortune to the whims of Gangi builders, to find something interesting in this town. As some of the artefacts in the town museum will testify, Gangi’s history is a long one. Known as Engyum in ancient times, the town’s mythology claims a history as far back as Mycenean warriors emigrating from Crete. But whether or not that is true, there was undoubtably a Greek settlement in the environs in the fifth century BC. The medieval history of the town really gathers pace with the Ventimiglia family – the feudal powerhouse whose fortunes influenced so many of the surrounding towns: Geraci Siculo and Castelbuono being the two most important. 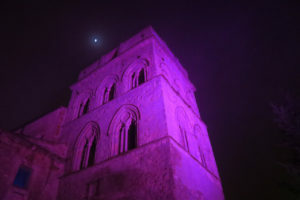 They built their castle, still standing, in typically Ventimglia style at the very top of the the hill Monte Marone and still in evidence is the fine Torre Ventimiglia built in fine Norman-Gothic style. Perhaps the most famous Gangi connections however was one of its inhabitants – the sixteenth centaur painter The Zoppo di Gangi. (Zoppo in Italian means “cripple” and is one of those beautiful onomatopoeic in which Italian abounds and which almost attach themselves to your memory). But in fact the Zoppo di Gangi was not one but two painters. Though the exact relationship between them is unclear, both Giuseppe Salerno (1575-1632) and Gaspare Vazano (1565-1624) worked under the nickname “zoppo” and it is likely that probably shared the same workshop. Whatever the explanation however, one of the prime reasons to visit Gangi is to view some of their fine masterpieces on display in the town’s churches. 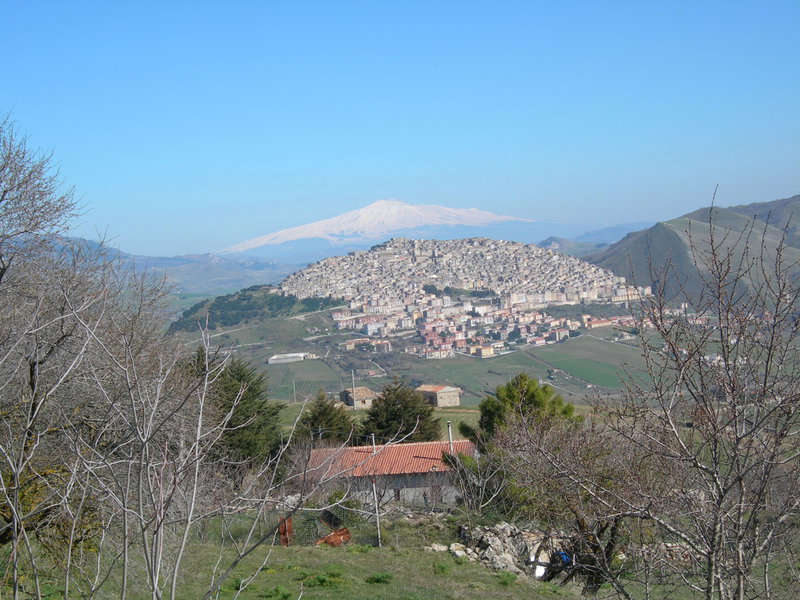 We stay for three nights in Gangi on our Easter in Sicily Tour and take the time to explore the town’s delights.